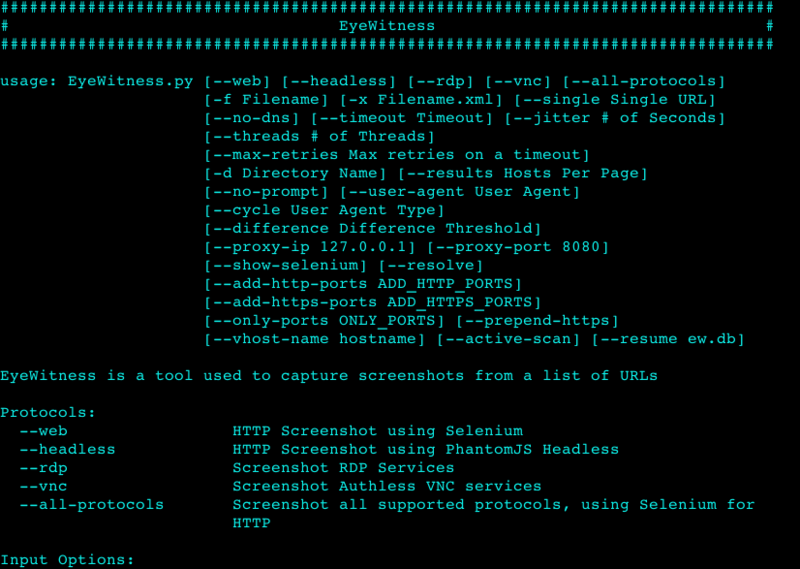 Browse: Home / EyeWitness v2.2.1 – is a tool used to capture screenshots from a list of URLs. + Debian Install Updated: The Debian setup process has been updated to install the geckodriver. + Added in ability to specify max retries. + New XML, and bug fixes. 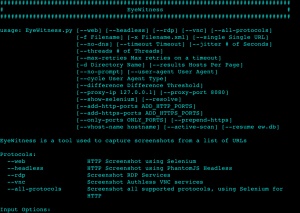 EyeWitness is designed to take screenshots of websites, RDP services, and open VNC servers, provide some server header info, and identify default credentials if possible. 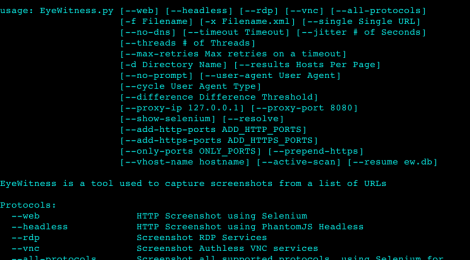 ← Hijacker – Android GUI Application for wifi auditing tools.